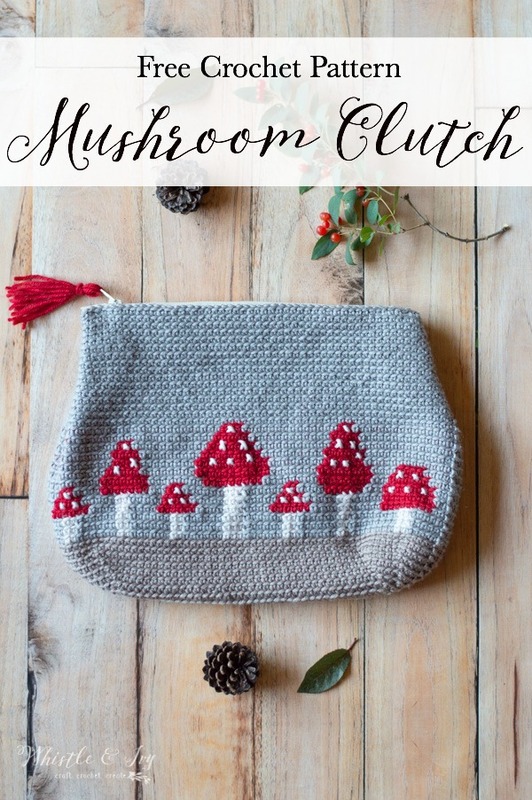 This darling woodland crochet mushroom pouch features cute little red polkadot toadstools. 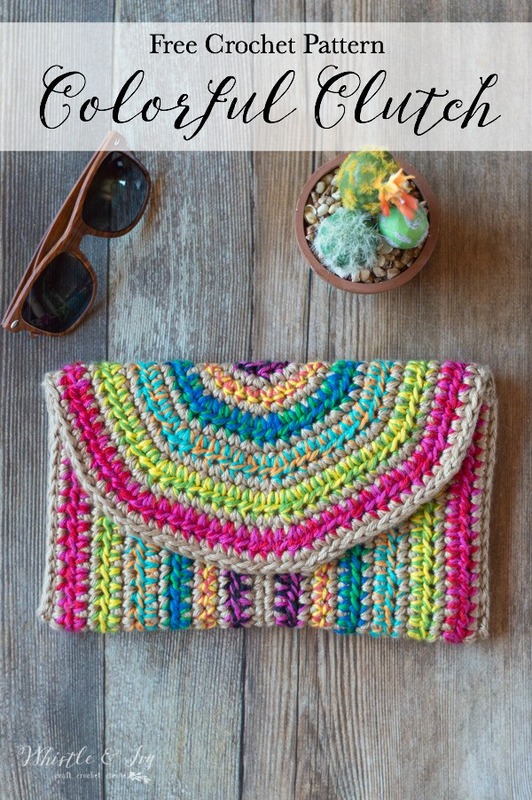 The design comes to life using the tapestry crochet technique in this free crochet pattern. This post contains affiliate links, which means I get a small commission if you make a purchase, at no extra cost to you. The beautiful Chic Sheep yarn that I used for this crochet project was provided by Red Heart. Thank you! 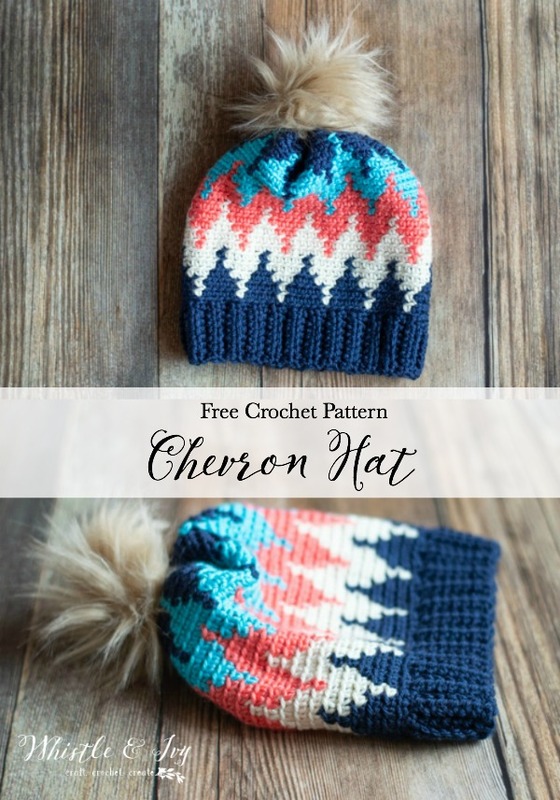 This cute crochet chevron hat is made up of single crochet stitches and alternates between two colors to make up the graph creating a stunning chevron effect. Watch the video and learn how to easily change colors and read the graph. This post contains affiliate links, which means I earn a small commission if you make a purchase. Thanks for your support! 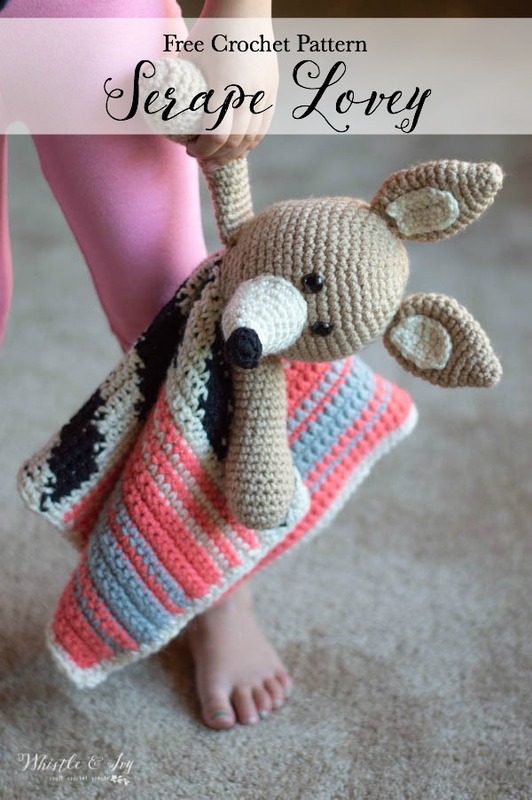 Learn how to make this adorable southwestern-style crochet serape lovey, featuring a cute crochet coyote on top! The pattern is worked with Red Heart Baby Hugs, a soft, squishy yarn designed specifically for babies. 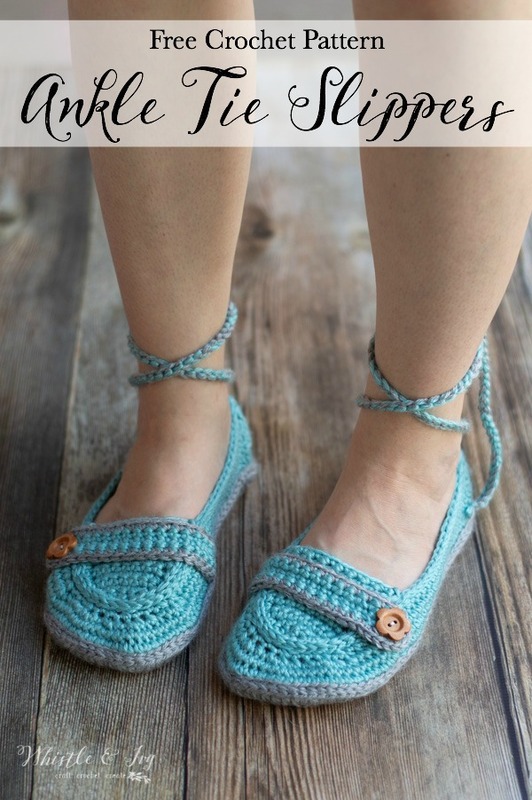 Also included is a full video tutorial and a FREE crochet pattern PDF download, courtesy of Red Heart, who has graciously sponsored this post. The post also contains affiliate links, which means I get a small commission if you make a purchase. Thanks for your support!